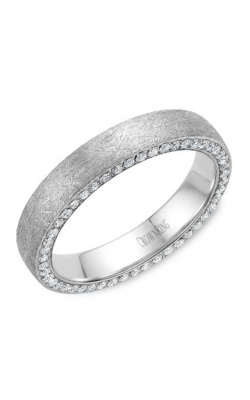 CrownRing was founded in 1999 by friends Thierry Bellisha and Haimy Mann as a premier jewelry store that offers exquisite matrimonial collections that commemorate this most important event. The name "CrownRing" was chosen as a way to express the manner in which a newly married couple becomes king and queen of their new life together. Currently CrownRing carries eight unique matrimonial collections that feature both men's and women's engagement rings, wedding bands, anniversary bands and other fine jewelry. These collections are each distinct and carefully crafted in materials ranging from gold and diamonds to alternative metals like tungsten and cobalt. 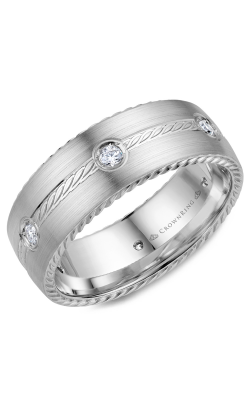 No matter the preference in style, there is truly a CrownRing wedding band for every taste. CrownRing has many collections of wedding jewelry that appeal to all personalities. Their Classic group features smooth, streamlined bands crafted in white gold, yellow gold and rose gold that can be had in either solid or alternating metals, and the bands can be finished in a variety of metallic tones as desired. Rings with more of a texture are available in the Rope collection, which features bands with rope-like designs that are sculpted into the band of the ring and on the edgings. 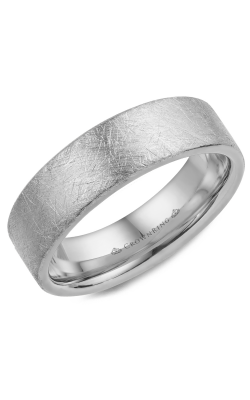 These CrownRing wedding band collections are available in both men's and women's styles and in several widths. For couples who want even more detail on their rings, CrownRing presents their Carved selections, which have patterns that are either hammered or engraved directly into the metal on the outside of the band. CrownRing wedding bands can be detailed with milgrain or rope styling, and for additional shine and sparkle, the Diamond collection includes rings that have any number of diamonds in multiple designs. These diamonds are available along the edges, in the middle or in both placements, and the sizes and styles of the diamonds can be varied for a unique look. Why Shop for CrownRing Wedding Bands at Kevin’s Fine Jewelry? Kevin's Fine Jewelry has been providing fine jewelry to customers across the Northern New Jersey areas of Totowa, Wayne, Franklin Lakes, Woodland Park, Kinnelon and the surrounding communities for over 35 years. We are known as the "Forever" jeweler in Totowa, and we are committed to becoming your forever purveyor of exquisite jewelry to commemorate all your special occasions. We take time to search out new and exciting jewelry collections for to you, and we pride ourselves on our inventory of quality pieces at fair prices. Call us or visit us at our showroom or online, and we will acquaint you with our definitive line of beautiful jewelry.